pants look, fit and feel great! Live Life with No BoundarieZ! People tell us all the time that their NBZ pants are the most comfortable they’ve ever worn! They love having pants with no zippers and no buttons. Find out for yourself how great a pair of NBZ apparel pants can be. We all understand that looking our best helps us to feel our best. At NBZ Apparel, inclusion sets the standard. We recognize that access to a great wardrobe can be uplifting. We've created an exceptional, inclusive adaptive clothing line designed to positively impact many lives, with products like our elastic waist jeans with no zipper or buttons. For people with adaptive clothing needs, finding the right clothes to dress comfortably and stylishly has historically been a challenge. For many years, this population has been largely ignored by the fashion industry and left on their own to create or customize apparel. Since having a customized wardrobe can be cost-prohibitive, often people were forced to wear ill-fitting clothes or clothes poorly suited to their needs. 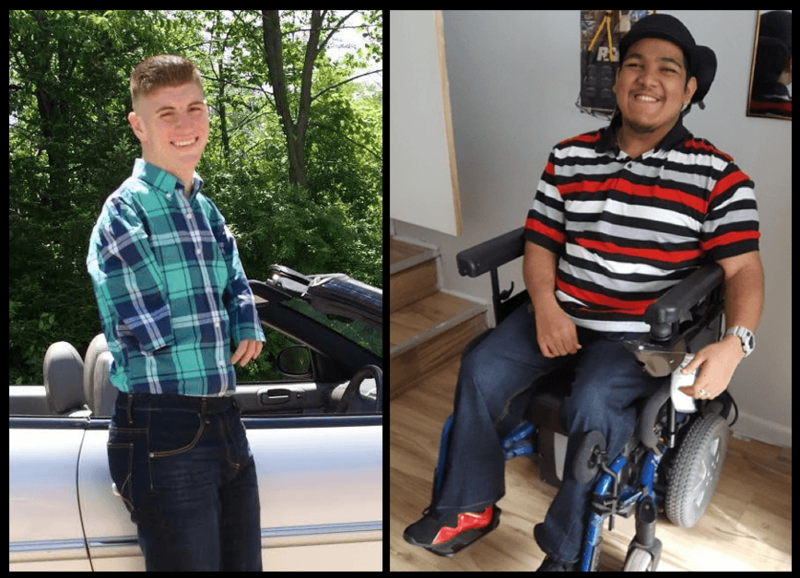 At NBZ Apparel, our mission is to match people in need of adaptive clothing with genuinely fashionable, comfortable clothes that fit well and last. We want to empower individuals to feel as confident as possible, whatever life brings. NBZ Apparel believes that having the right clothes can be truly life-changing. Do you have someone in your life that would benefit from our clothes? Send them our shareable gift catalog! From young children who are glad to go off to school wearing clothing that looks similar to what their peers are wearing to adults who feel empowered when they are enabled to dress themselves stylishly, NBZ Apparel suits a wide variety of needs. Our testimonials speak to the relief and joy experienced by people with adaptive clothing needs when they realize they've finally found great clothes that fit. NBZ Apparel founder, Karen Bowersox, personally understands the joy of giving people access to high-quality adaptive clothing. Karen was inspired to found NBZ Apparel in response to the unmet clothing needs of her own granddaughter. Learn more about Karen's story and the history of NBZ Apparel, including the extensive research and care invested in developing this clothing line. Our clothing is designed with inclusion in mind. Our elastic waist jeans and pants are extremely comfortable and durable, without sacrificing any style, at an affordable price. And by designing elastic waist jeans and pants with no buttons or zippers, there are no limits to how and where our clothing can be worn. From our carefully chosen flexible fabrics to our custom design features, NBZ Apparel anticipates and addresses the dressing requirements for people with adaptive clothing needs. Visit our About Our Clothes page to learn more about our durable designs that look as good as they feel. 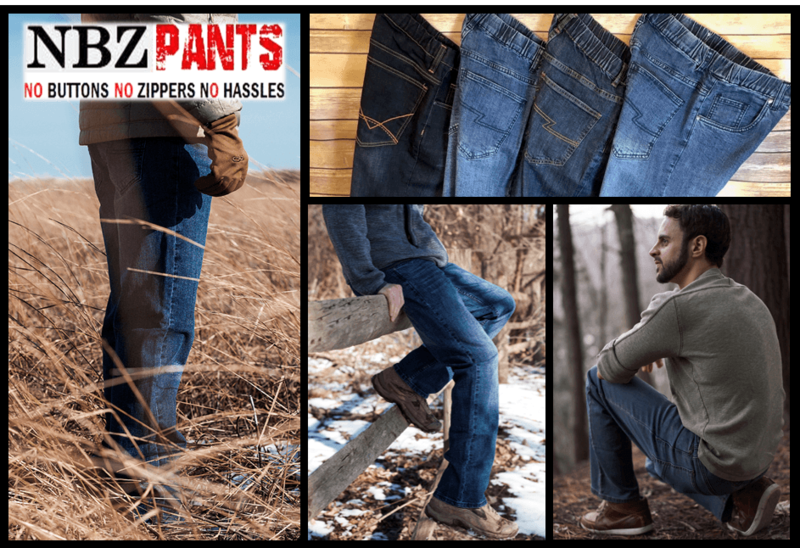 With crafted attention to detail, our NBZ jeans and dress pants without zippers or buttons successfully create the look of clothing with extra convenience. They feature a mock fly, belt loops and watch pocket (for jeans) along with the comfort of an elastic waistband. These features allow wearers ease in dressing and independence while achieving a polished look. 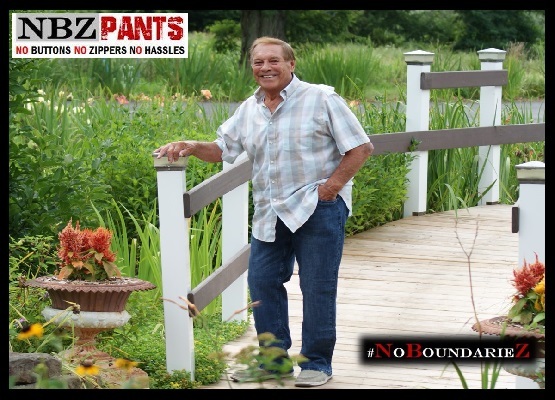 Learn more about our NBZ brand pants and jeans with no buttons or zippers. Our unique Downs Designs clothing is crafted with the same modern styling and details as our NBZ pants and is available in a variety of styles. Our elastic waist jeans and pants are designed to fit children from age 2 through adulthood. A customized fitting for every individual wearer is included as a part of your purchase. 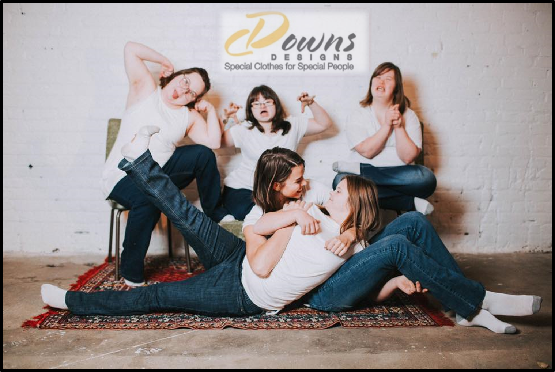 Learn more about our fashionable and comfortable Downs Designs clothing. In addition to providing quality clothing to meet a variety of needs, our mission at NBZ Apparel is to give as many people as possible access to our life-changing adaptive clothing. We pledge to donate one pair of our elastic waist jeans or pants for every three pairs purchased. Our goal is an overarching ambition to give away 1 million pairs of our elastic waist pants. Visit our Social Good Program page to learn more about how you can participate in paying it forward for others in need. Help us get the word out about NBZ Apparel so that we can meaningfully impact as many lives as possible. NBZ Apparel truly cares about affordably meeting the adaptive clothing needs of our customers. Whatever your individual clothing needs, contact us to learn more about NBZ Apparel. We cant wait to help you feel your fashionable, comfortable best in our no button jeans!